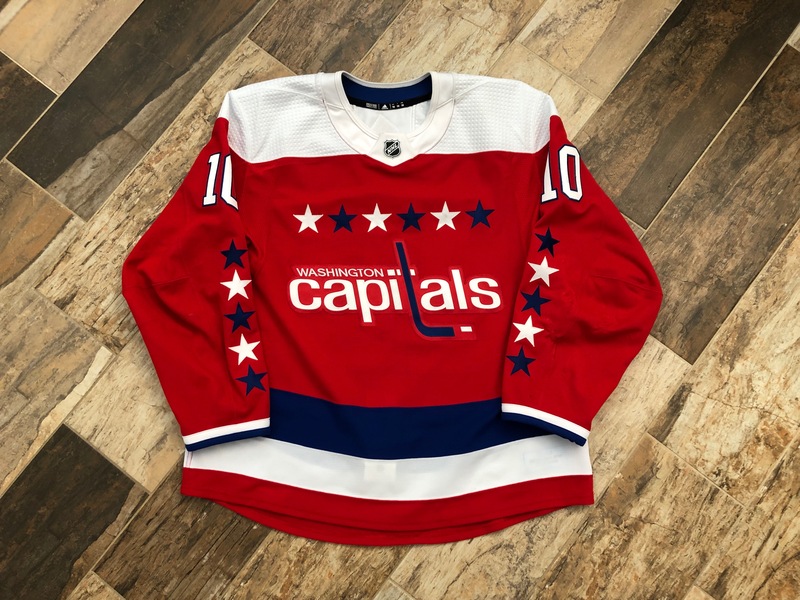 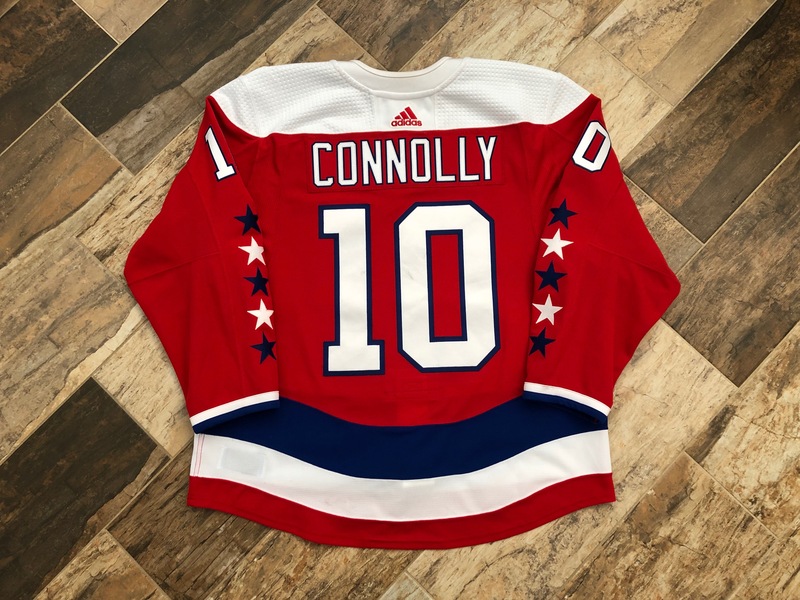 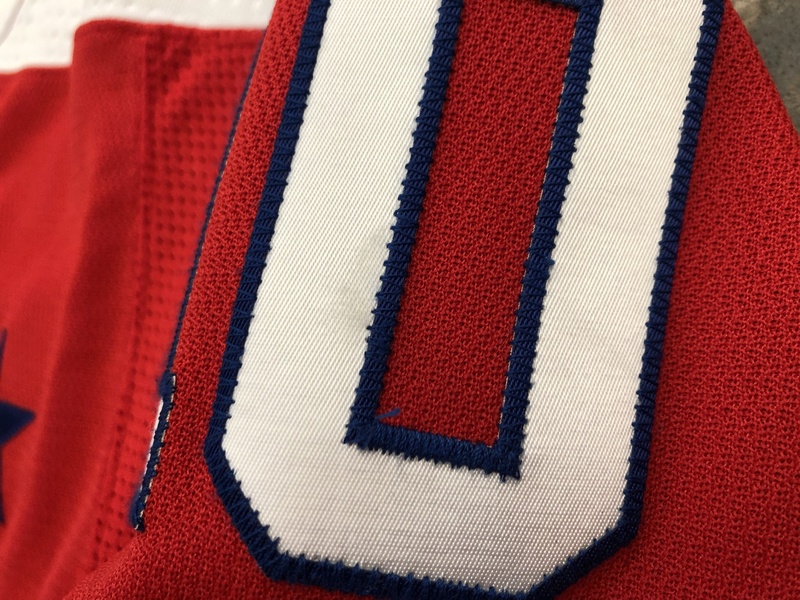 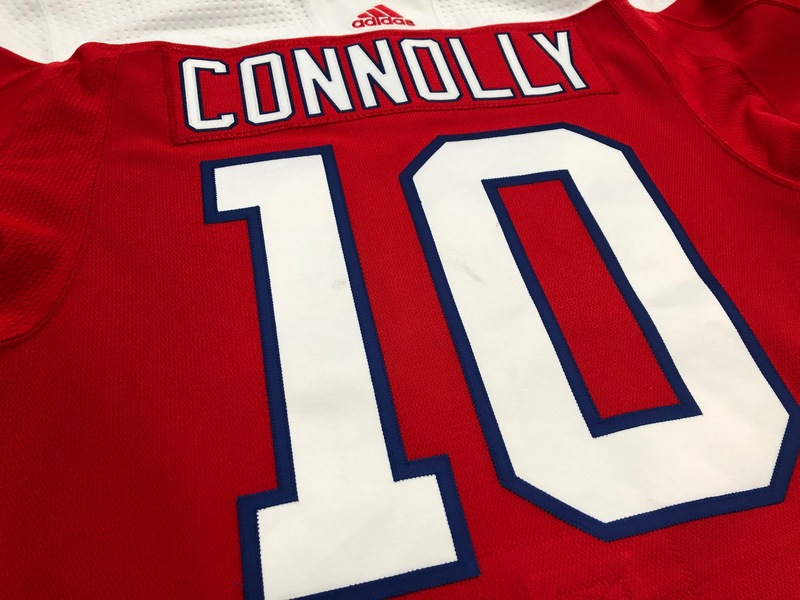 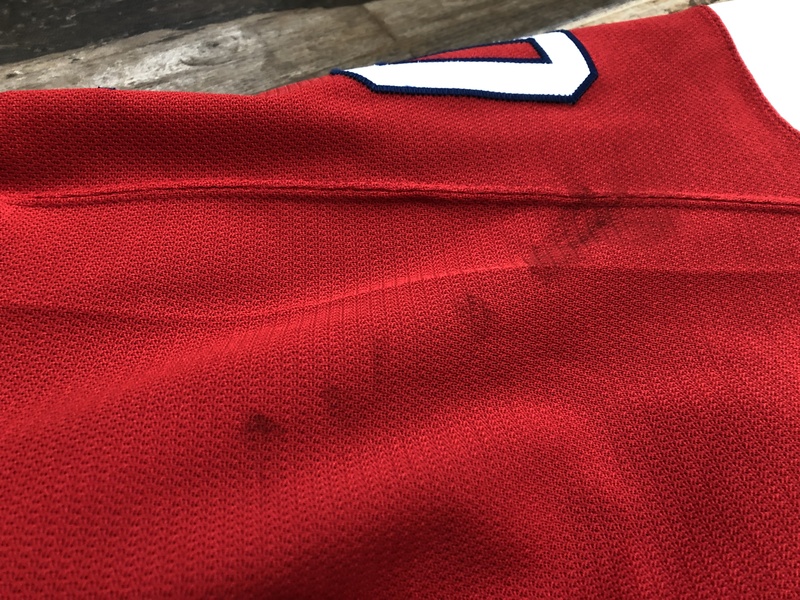 For a dark alternate jersey, this one shows tremendous wear. 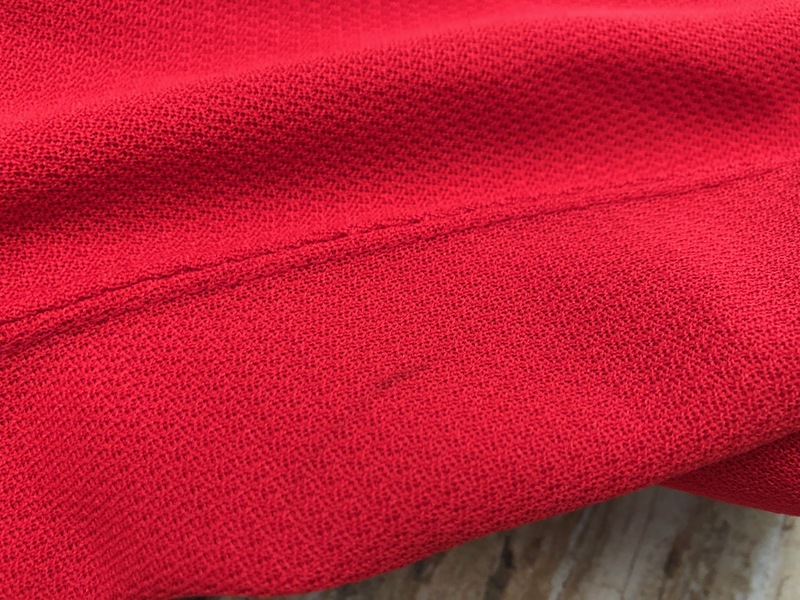 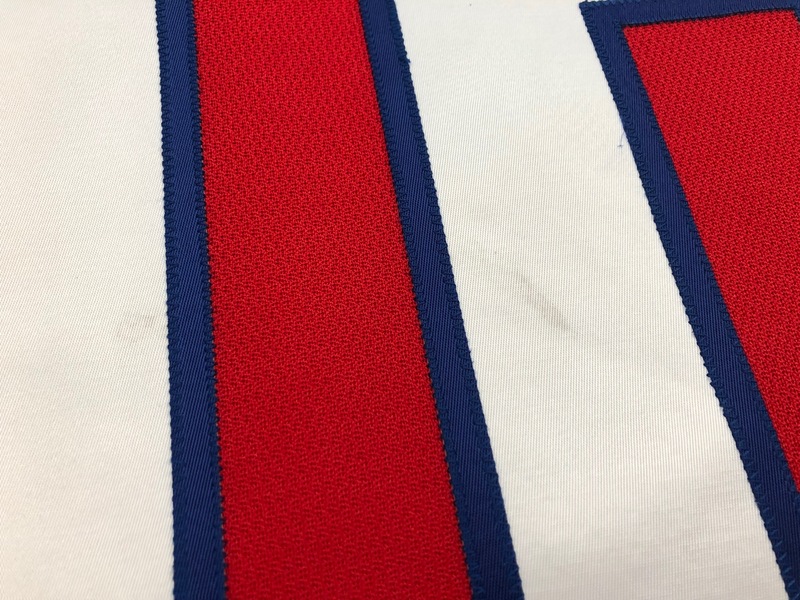 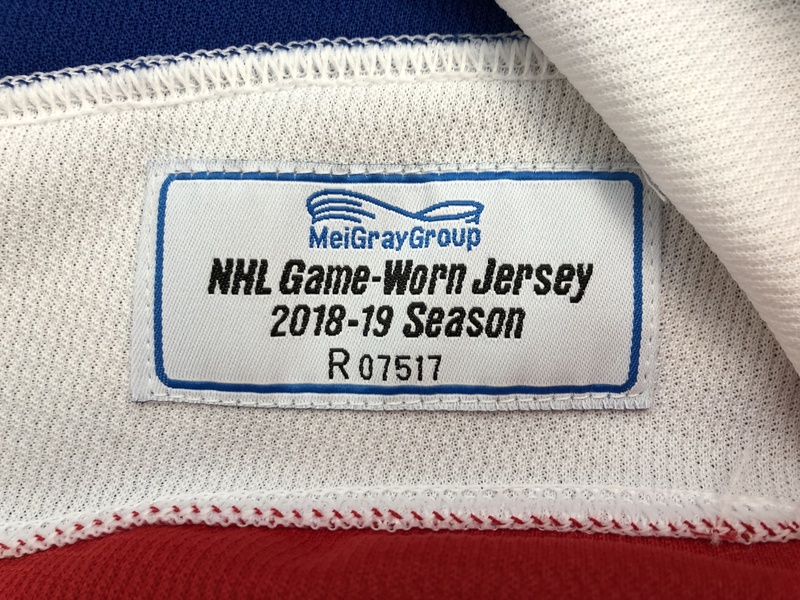 The left sleeve has a bunch of repairs and there are numerous burns throughout the jersey. 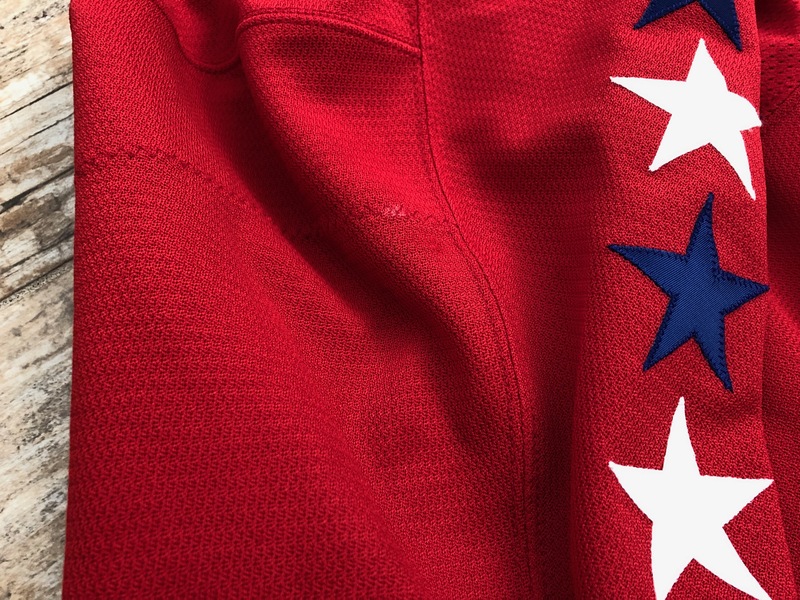 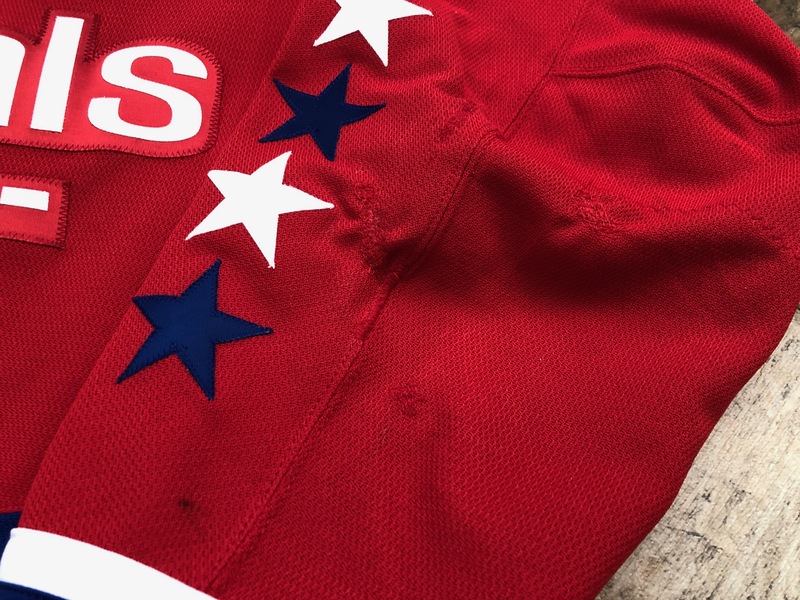 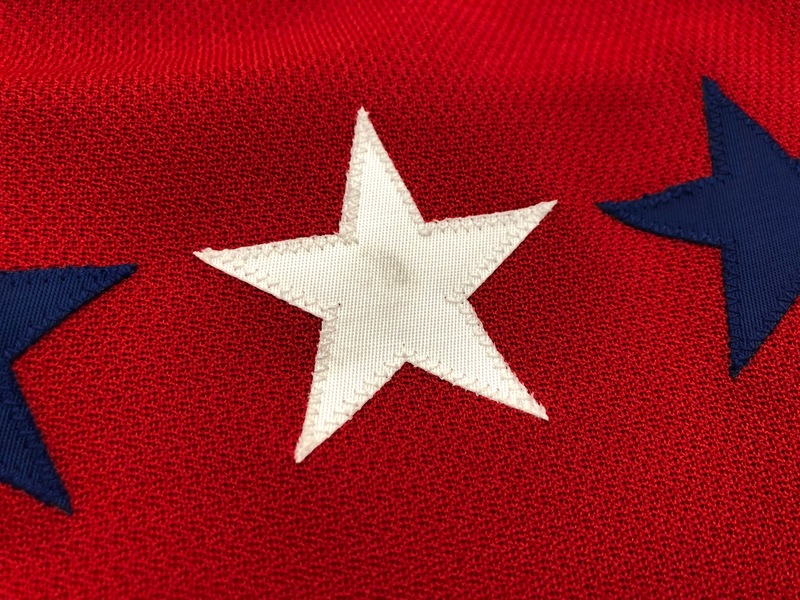 There are black marks scattered all over the jersey from back numbers to sleeve numbers to the arms, stars, and chest.